Identifying a relevant cancer clinical trial near you based on simple information that you enter in just a few finger taps has never been easier. Clinical Trials seek is an app developed by Novartis to help oncology patients and healthcare professionals find reliable clinical trials which are appropriate to the patients specific health conditions. 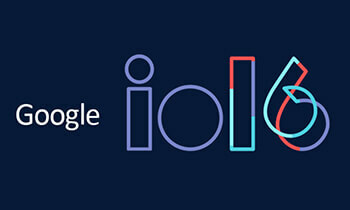 It is available on iOS and Android platforms. The app uses the National Institute of Health database (clinicaltrials.gov) as their source, so users know they are receiving credible information. 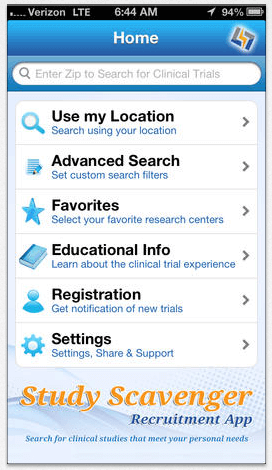 Searching for a clinical trial on this app is tailor made to the patient’s needs by using search queries like condition, treatment, location, phase of the trial, sponsor of the trial, gender, as well as age group of the trial. 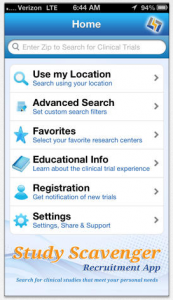 The app also uses GPS so users can simply see clinical trials on a map in their area. Participating in a clinical research study can be rewarding in that you can contribute to understanding diseases and how they affect others. But how do you know which study is right for you? Study scavenger is the first bilingual app available on iOS that allows patients to search for clinical trials in their area which are specific to their needs. A user can search for trials using their GPS location or use an advanced search to receive results. 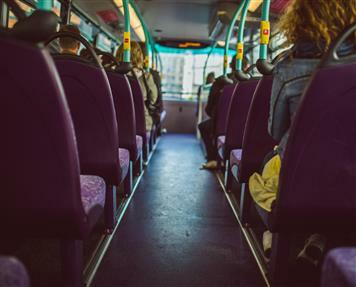 Under the advanced search, users can search by age, gender, distance willing to travel, type of research facility, health condition and minimum stipend. The app thoroughly explains the process of a clinical trial and what the 3 different phases of a trial mean. The registration feature allows for the user to get notifications of new trials that are formed. The app also provides useful educational information about research studies, the drugs or treatments used and how they are approved for testing. Lilly Oncology has developed a searchable app available for iOS, Blackberry, and Android platforms, which helps healthcare professionals find oncology trials that are enrolling new patients by disease, state, molecule being studied, study phase, country, state and keyword. 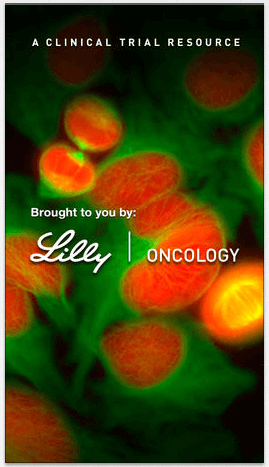 The app provides details on all trials globally or trials that are specific only to Lilly Oncology. A great feature of the app is that it includes a searchable section of outside resources for healthcare providers such as the American Association for Cancer Research and the American Cancer Society. Another feature of the app allows providers to search for healthcare conference events specific to their area, allowing for greater attention to patient care. For prospective clinical trial applicants, the search for an ethical and reliable clinical trial can be daunting. 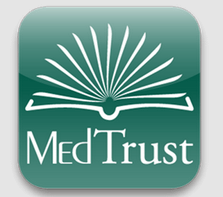 MedTrust by Glaxo Smith Kline Oncology is an app that can be used as a search tool to find reliable information about clinical research trials. You can quickly locate Clinical Trials that are recruiting patients within 150 miles of your location as well as view search results of Clinical Trials on a map relative to your location. You do an advanced text search to locate Clinical Trials by any of the following criteria: Search term, patient gender, age, Clinical Trial Phase. Each Clinical Trial record contains the complete details available including the summary, description, patient conditions, interventions, recruitment status, number of patients to be enrolled, patient inclusion criteria, patient exclusion criteria, contact information and more.